The U.S. Department of Labor says there's an "extreme" discrimination problem at hand, but Google denies that. 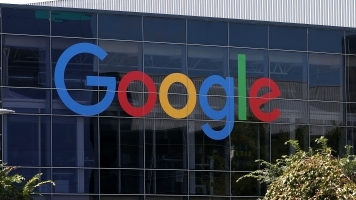 Federal investigators say Google isn't paying its female workers enough. This comes from an article from The Guardian. The U.S. Labor Department said in court it's still looking into things, but it's already found "compelling evidence" of discrimination against women at the company. The department also says the situation at Google is particularly extreme, even when accounting for widespread gender bias in Silicon Valley. This isn't good news for Google, which has trumpeted its diversity efforts in the past. "We want to see more women in senior leadership positions; we want to see more people from underrepresented groups because it makes us a better company," CFO Ruth Porat said in a June 2016 promotional video. And as recently as April 4, Google sent out a tweet on Equal Pay Day saying the company had "closed the gender pay gap globally." That's a claim Google still stands by. The company does say it could do more to hire women, who right now make up less than a third of its workforce. But Google says the women who work there are paid fairly. Google and the Labor Department are in court over whether Google should provide certain salary records to the government. The department says this is part of Google’s agreement as a federal contractor, but Google says it sent enough to the agency and isn't willing to send more.